The McCree Enhanced* Design-Build approach and experience is incomparable in Central Florida, if not the country. As you do your homework, you’ll discover there’s a spectrum of contractors offering the “design-build” approach. 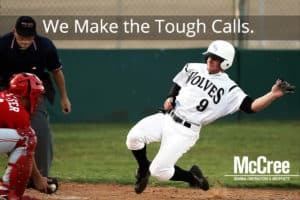 McCree’s enhanced approach is uniquely comprehensive so it provides you with a far more fluid and predictable process that saves you stress, money and time. You’ve probably heard the construction horror stories of change orders; battles between the engineers, architects and contractors; and subcontractor performance issues. McCree is a one-stop team. Delegate and be done. By engaging one team to guide you through concept to completion, you avoid the complexity and complications of having too many independent interests involved in your project. Good news: With McCree, your exposure to adversarial design and construction related risks is eliminated! If you’re a private owner (non-government) and have yet to select an architect or a general contractor, then the design-build option is the most viable of all construction methods open to you, especially if commercial construction isn’t in your wheelhouse of expertise. Interestingly, some of the most sophisticated real estate developers choose the design-build approach because it frees them from the worries and distractions of a real estate construction project and allows them to focus on leading and growing their organization. Design-build is as close to delegate and done as one can achieve. Design-build is a method of construction project delivery whereby the owner contracts the services of one entity to provide fluidity of services from concept to plans to site work to building to completion. 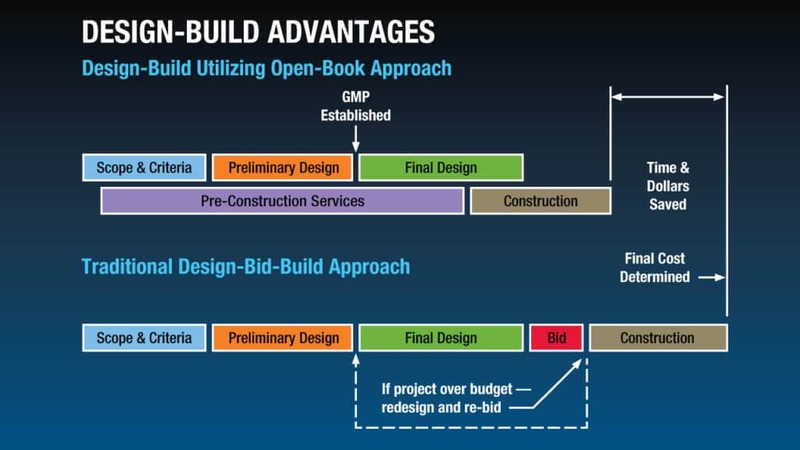 The Design-Build Institute of America provides an excellent comparison of the Design-Build approach versus the Bid Approach. Unfortunately, many first-time private project owners are not aware of the Enhanced Design-Build option versus the adversarial Design-Bid-Build and the Integrated Project Delivery methods. *Here’s why the McCree Enhanced Design-Build approach and experience is incomparable in Central Florida, if not the country. There are four ways McCree goes above and beyond the “regular” Design-Build approach. Experience: Our Design-Build roots start in 1914, twelve years before our founding. Bill McCree, our founder, was a forerunner of the Design-Build method. Since the 1950s, a licensed architect and licensed contractor have been principals on the McCree Design-Build team. Professionals: McCree has full-time principals working in the top three licensed professions of engineering, architecture and general construction. Trades: General contractors typically hire sub-contractors to perform certain specialty work. McCree, however, self-performs a significant number of trades in order to maintain fluidity, costs and standards. Simplicity: As a customer, you have one point of contact for your project—McCree. You don’t have to coordinate with two or three different firms or get finger pointing from one to the other. Point your finger to one phone number: your McCree Project Manager and Concierge. Why Design Build at McCree?